Their love for travel and mobile applications has led 3 Bangaloreans to create a successful website venture. These young Bangaloreans, shared an office space with different dreams only to realize their common love affair with trips and travel. 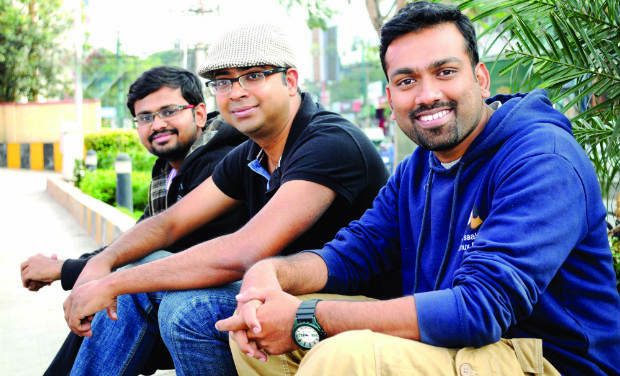 Kingsley Joseph, Anenth Guru and Sandeep Bhaskar, have started a travel website called "Tripthirsty" which is garnering widespread attention and is looked up as the ‘next big thing’ in the world of online startups. Beginning from ‘how to handle wild snakes’ to ‘jumping of a cliff’ — their website offers a host of travel options that you can choose from. “Initially, we were trying to conjure up a solution for one common problem that all travellers faced,” begins Anenth Guru, who was once trying his hand at mobile applications for commuting. Hence, their website opens up a world of opportunities for the avid traveller. The site collects travel wishlists from its users and uses those lists to work out group discounts and other deals that you would not find otherwise. Quitting lucrative careers to open up business enterprises, is nothing new in recent times but these grads are more inclined towards their interests. Apart from this, their other interests include being movie critics and developing mobile applications for various sectors. However, their future lies in expanding "Tripthirsty", “It is a vast industry which has a lot of pain points, so we are exploring and planning on expanding our business in all levels,” says Sandeep. ■Follow these simple tips to travel safe this holiday season!